Resting senior squad players – was Cook right? In November 2016 five clubs were fined a total of £60,000 by the EFL for contravening “full strength” rules in the Checkatrade Trophy. Luton Town and Portsmouth broke the rules in three games, each being docked £15,000. The third and final matches in the group stages had seen attendances in most of games plummet below four figures with Portsmouth having their lowest attendance since WW2 for a competitive match at Fratton Park. Luton and Portsmouth had not complied with full strength rules that involved them putting five first team players in their starting line-up. The “first team players” could have been from those who played in the last league game, or the next league match, or the highest appearance makers in the season so far. Bradford City had found a way to circumvent the rules by substituting their “first team” goalkeeper after just three minutes in a game against Bury. Their assistant manager joked “I thought he had a poor 45 seconds”. Since then other clubs have followed suit. Accrington Stanley did it on Tuesday night at Wigan by taking off Billy Kee after four minutes. Wigan Athletic will surely face a fine of at least £5,000 for the line-up put out by Paul Cook three days ago. The only member of the senior squad who played was Tyrell Thomas, who is 21 years old, his three league appearances this season having been as a substitute. Ten of the starting line-up were under 20 years of age, with the 15-year-old Jenson Weir coming on as a substitute after 69 minutes. The 4-0 scoreline in favour of the visitors was no surprise, given the inexperience in the Wigan team. The game could be roughly described as one between Accrington’s second choice side and Latics’ third choice. It proved to be a mismatch which few of the 1,473 spectators present would have truly enjoyed. So why did Cook put out such a line-up? Did he give due warning to the fans that it would be the case? But the team that started at Blackpool was largely composed of members of the senior squad, including the likes Donervon Daniels, Alex Gilbey, Jamie Jones, David Perkins and Max Power who had years of EFL experience under their belts. Was the manager being fair to the youngsters who played, or on the fans who turned up on Tuesday? Why did he not include senior squad members in need of match practice? However, what he did not explain is why players who had been side-lined or spent most of their time on the bench were not played. Was it because he wanted to maintain harmony in the senior squad by giving them all (barring Terell Thomas) a rest, not just those who have played a lot of games up to this point? Or was it because he holds scant regard for the Checkatrade Trophy? The EFL Trophy, currently sponsored by Checkatrade, started in the 1983-84 season as the Associate Members’ Cup. It was a competition involving clubs from the bottom two tiers of the Football League. Wigan Athletic were winners in its second season in 1984-85 was, beating Brentford 3-1 in front of 39,897 spectators at Wembley. At the time it was sponsored by Freight Rover. In 1992 the third and fourth tier clubs received full voting rights after the First Division had broken away from the Football League to form the Premier League. Its name was duly changed to the Football League Trophy. Latics went on to win the competition again in April 1999 when they beat Millwall 1-0 at Wembley in front of a crowd of 55,349. It was then sponsored by Auto Windscreens. Since those heady days the competition has had its ups and downs. In the year 2000 eight clubs from the Football Conference were invited to compete, but in 2006 this stopped. In 2016-17 it was renamed the EFL Trophy and Premier League and Championship clubs with Category 1 academies were included. The inclusion of those teams was voted in by EFL clubs but has been unpopular with most supporters of clubs in Leagues 1 and 2, to such an extent that some fans have boycotted the tournament as a form of protest. However, despite the sparse attendances that typify the earlier stages of the competition it still maintains some status. Last season saw Coventry City win it by beating Oxford United 2-1 in front of a crowd of 74,434. However, with 46 league games and the League Cup and FA Cup to compete in, were Wigan Athletic really interested in winning the EFL Trophy this season? The clear priority for Latics is promotion back to the Championship division, so how does the club view the Checkatrade Trophy? Jonathan Jackson provided some perspective on the matter prior to the Accrington match. 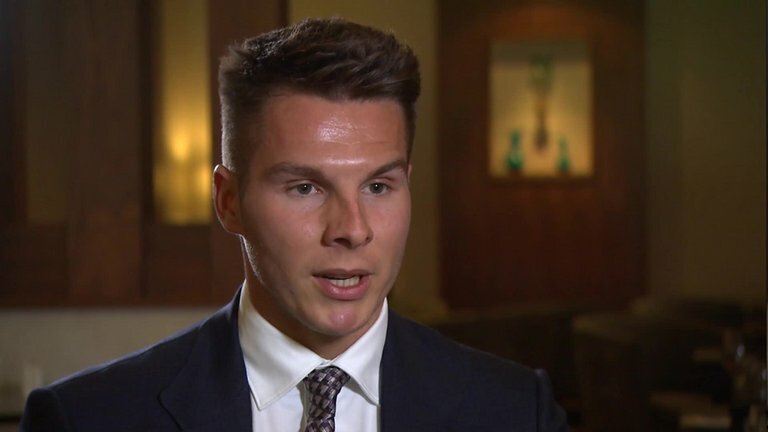 He stated that it was a much-maligned competition, but added that: “Within football, it’s seen as a great way of getting young players out there on to the pitch. Other than this competition, it’s very difficult to get young players into a competitive environment”. Jackson also revealed that there is a financial benefit for competing EFL clubs, through the prize money. According to an article in the Coventry Telegraph in February 2017, the prize money for winning a group stage match was £10,000, with £5,000 for a draw. With the prize money increasing in later rounds Coventry City would have received around £400,000 in their winning the trophy. Looking at Paul Cook’s decision from a pragmatic angle it appears that Latics will have made a small profit from their participation in the Checkatrade Trophy this season, even allowing for a fine in the region of £5,000. Although the Accrington game proved far from ideal for the development of young players, the previous games provided opportunities for youth, backed up by the presence of senior squad players. Cook’s decision to field such a young and inexperienced team on Tuesday night was certainly controversial. Moreover, the postponement of Saturday’s fixture at Rochdale did not go down well with so many fans. However, the absence of the current second and third choice goalkeepers on international duty this weekend would surely have been an issue. Only time will tell whether Cook giving his senior squad players a break of a fortnight between games will produce the result he seeks. It is indeed a long season ahead. More upheaval for Latics over summer? Journalists use headlines to grab our attention. Sometimes they give us a good idea of what the article is all about, sometimes less so. Some internet sites use information already made public on others, repackaging it under a different label or more compelling headline. After a while you get to know which sites do that and learn to steer clear and not be drawn in. It was by no means a bad article, published on a Rangers fan site, largely enthusing about the Scottish club’s signing of an experienced Portuguese defender. But what had drawn me to the article was the “Wigan reject” tag. This came in the penultimate line with the phrase “From Rob Kiernan to Bruno Alves”. No further comment was made about the ex-Wigan player, but the inference was that Alves is a much better player. In the end I wondered why I had read it. I noticed one this morning that persuaded me to immediately click on the link. It was near the top of the charts, entitled “Sharpe: Some players need to change their attitude.” I found it hard to believe that the chairman would openly and blatantly criticise his players in public. It just did not fit in with his profile. Did he really say that? So it looks like Sharpe never did say that some players need to change their attitude, thank goodness. 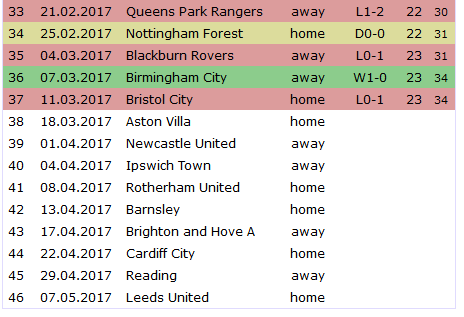 Wigan Athletic did have a bad season, but most of that was probably more related to mismanagement rather than to lack of effort from the players. But although I was relieved in one sense, reading through what the chairman was quoted as saying was perhaps equally disturbing. Is it a signal that there will be even more upheaval in the playing staff over summer? 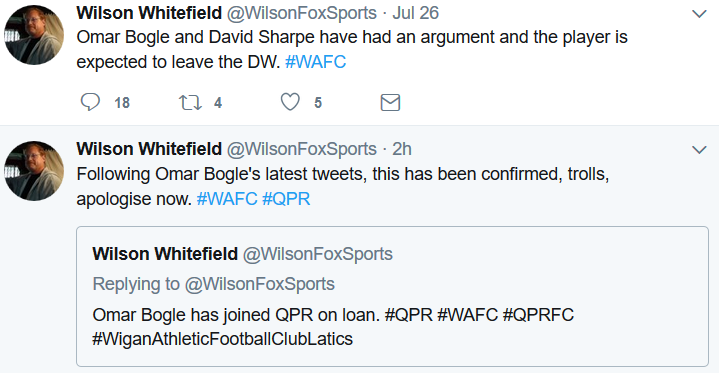 Reading between the lines of what Sharpe said, and on the basis of what has happened in the past, it appeared that he was largely willing to keep the squad intact. Two of the club’s most saleable assets – probably Will Grigg and Dan Burn – would be sold off to help balance the books in a season where revenues would not come close to paying a wage bill of players coming down on Championship salaries. But Sharpe’s latest statements give cause for concern. When is the upheaval at Wigan Athletic going to stop? 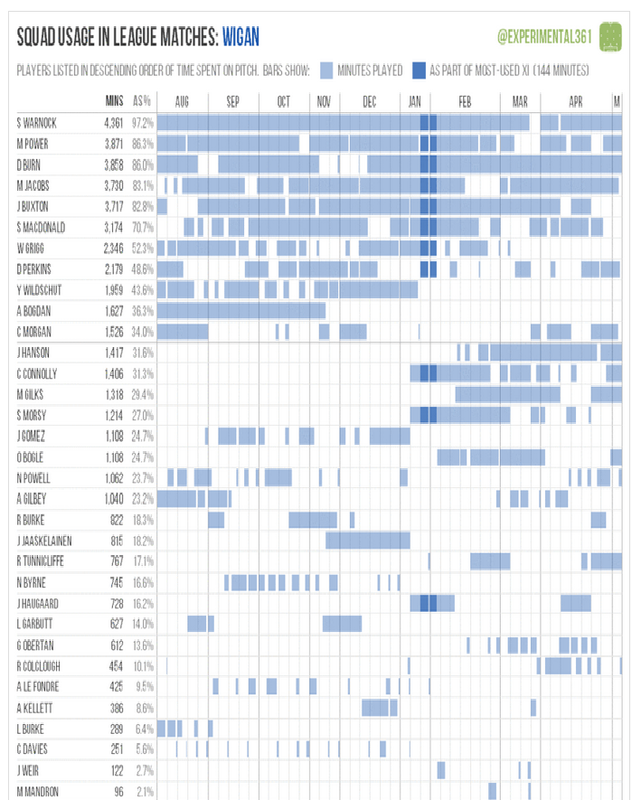 The chart above shows that Latics used 41 players last season, indicating more turnover than any other club in the EFL. It mirrors what has been happening for far too long. Instability has eaten away at the foundations of Wigan Athletic Football Club. Although Sharpe stated that he thought the squad had been attractive to Paul Cook, there is also the other side of the coin. That is of a new manager coming in and wanting to bring in his own players. Will we once again see wholesale changes as we saw in the summer of 2014 under Uwe Rosler, in January 2015 with Malky Mackay, in the summer of 2015 under Gary Caldwell and in January 2016 with Warren Joyce? Let’s hope not. It is rumoured that the concept of a Director of Football was mooted at Wigan Athletic, but was rejected. One advantage of that position is having someone with an overview on potential turnover at the club. In the absence of such a person are we going to continue with the process of a new manager coming in and breaking up the squad he has inherited? Gary Caldwell was, to a large degree, forced through economic necessity to release a whole flock of players on lucrative contracts in the summer of 2015. The line-up in the first match at Coventry had just one player – Chris McCann – from the previous season. It took months for the new players to gel and it was only in January that the results started to turn. 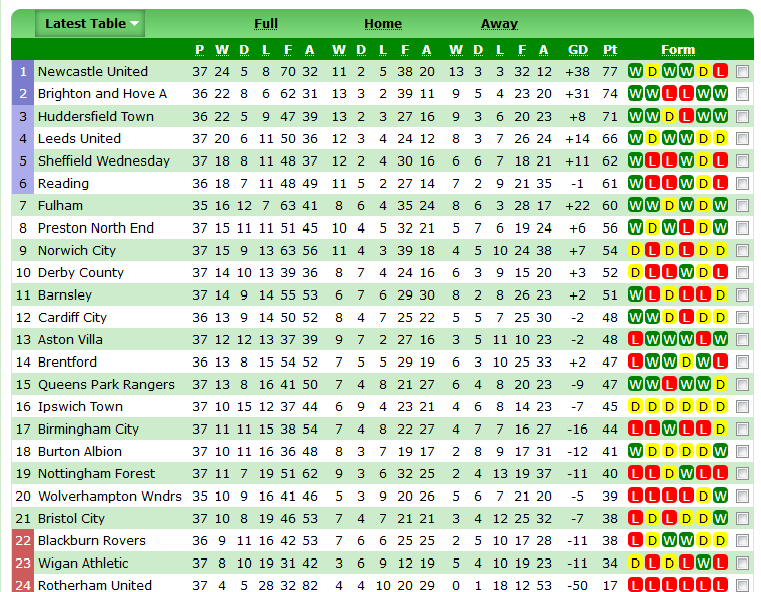 If anything, next season’s League 1 looks stronger than it was a couple of years ago. Blackburn Rovers will be buoyed by Venky’s money, Portsmouth maybe even more so if ex-Disney billionaire, Michael Eisner, takes over the club. With three up and four down each year the composition of League 1 varies significantly each season. 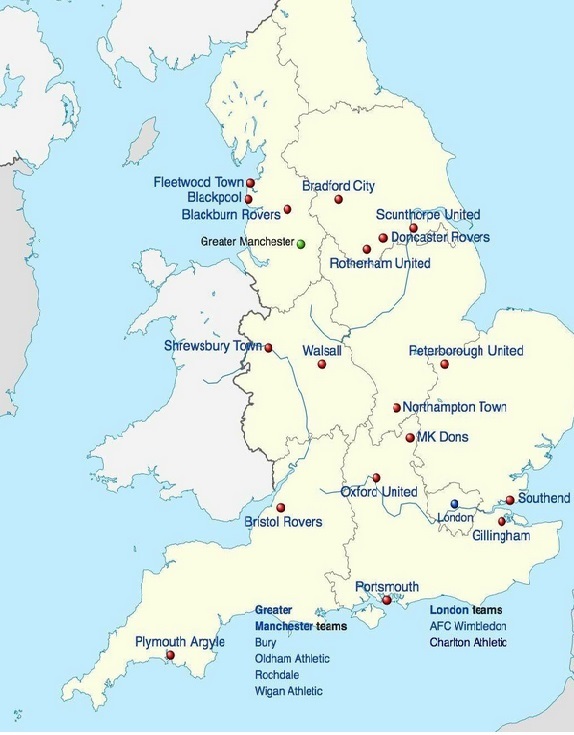 The map for League 1 in the 2017-18 season reveals a number of clubs strong enough to challenge for promotion and the prospect of derby games against six other clubs in the North West. Over recent weeks we have seen the departure of Graham Barrow, James Barrow and John Doolan from the coaching and conditioning staff. Only two the players whose contracts were expiring – Jordan Flores and David Perkins – have been offered extensions. Crowd favourite and captain, Stephen Warnock, has left. Garry Cook has come in at board level, Paul Cook and Leam Richardson as manager and assistant. The question is whether the nucleus of the current squad will be retained over summer. Although Sharpe previously said the squad does not need major surgery has there been a change of mind with the arrival of a new manager? When will the turnover of players at Wigan slow down? Let’s hope it will be this summer. A Director of Football for Wigan Athletic? Mark Warburton was Brentford’s director of football when Uwe Rosler was manager. The words of a member of the Latics hierarchy? Jonathan Jackson or David Sharpe maybe? 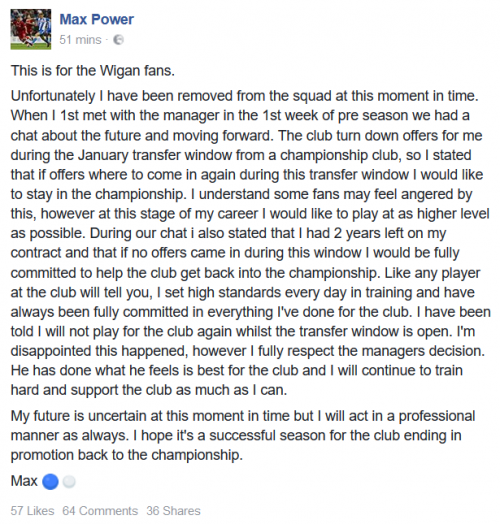 The statement summed up what has been happening at Wigan over the past four years. The calamitous appointments of Owen Coyle, Malky Mackay and Warren Joyce destroyed what their predecessors had set up, leaving the club’s philosophy in tatters. Both Coyle and Joyce made not only wholesale changes in the playing staff, but their style of football was diametrically opposed to that of the previous managers. In both cases possession-based football was replaced by a physical approach embracing the long ball. Ex-manager Uwe Rosler has been quoted recently as suggesting that Wigan Athletic need a period of stability. He was referring largely to Latics having had three managers this season and the instability it has caused. But it brought to mind another aspect of instability: that of player turnover. Alan Nixon’s “A mental amount of movement” tweet in January sticks in the mind. The Sun journalist had mentioned Latics’ interest in 5-6 new players. But by the end of the transfer window no less than 12 new faces had been brought in. Few could disagree with Rosler’s comment. There is a clear need for continuity and stability at the club. Too many managers and players have come and gone. In the 2015-16 season there were 31 incomings and 44 outgoings of senior squad players at Wigan Athletic. The stats for the current season show 26 coming in and 29 leaving. Strangely enough Rosler himself contributed to the lack of continuity and stability by bringing in a swathe of new players in the summer of 2014, despite the fact that his previous squad had reached the semi-finals of both the FA Cup and the Championship playoffs, due to his fine efforts. Sadly the majority of the new players could not make their mark and the manager was surely undermined by senior players from previous administrations. His departure in November 2014 was to lead to the appointment of Malky Mackay, a January fire sale and an avoidable relegation. In his previous position at Brentford, Rosler had worked in tandem with Mark Warburton, who was Director of Football. Our Brentford sources tell us that it was Warburton who was largely responsible for the recruitment of players. 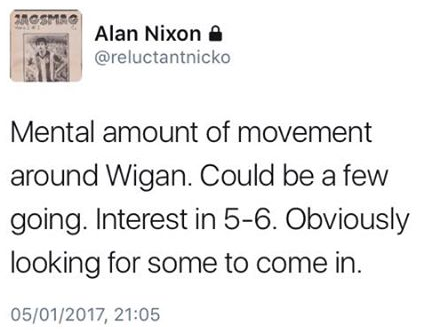 One wonders what might have happened at Wigan if a Director of Football had been in charge to deal with recruitment with Rosler giving his input. It was sad to see a manager who had done so much to bring Wigan Athletic back into prominence the previous season being dismissed in a matter of months. Although it might appear that the context was that of Wigan Athletic the preliminary comment came not from Wigan, but from Glasgow. The speaker was Rangers’ managing director Stewart Robertson talking to Sky Sports just a couple of months ago. Although in continental Europe many clubs have sports directors, akin to the general manager role in American sport, the role of director of football in England has yet to be clearly defined. Essentially the director of football acts as an intermediary between that the board and the manager, but clubs have tailored job descriptions according to their own requirements. An experienced and competent director of football can advise both the manager and the board. The role seems to inevitably involve tensions between the director of football and the manager, especially in the area of player recruitment. 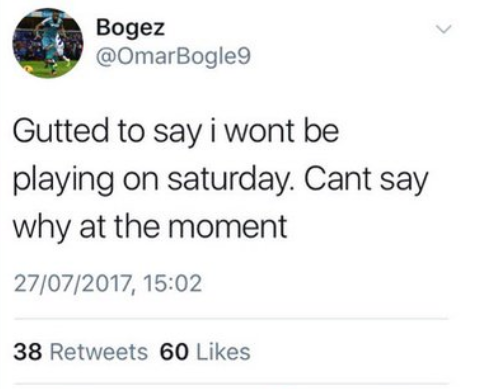 At this stage we are not advocating the appointment of a director of football at Wigan Athletic, but the concept merits due consideration. Stewart Robertson’s comments might have been made about Rangers, but they ring true to us supporters of Wigan Athletic. David Sharpe did the right thing today by dismissing Warren Joyce and his close associate Andy Welsh. Some might say the chairman deserves praise for swallowing his pride and realising he did the wrong thing in November. But Sharpe is pragmatic enough to know that if he had kept Joyce in charge, Latics would surely have been doomed to relegation. One of the fundamental building blocks in Wigan Athletic’s rise from the fourth tier to mingle for so long with the elite clubs of English football was sheer BELIEF. It was the belief of Dave Whelan in his managers – Paul Jewell, Steve Bruce and Roberto Martinez – that led to the club to an FA Cup, a League Cup Final and eight years in the Premier League. Whelan backed them, not only with his chequebook, but with his driving ambition to hold Wigan Athletic up there. There were certainly sticky moments along the way, but there was always the hope that things would turn out alright in the end. They did apart from that fatal night at the Emirates, just three days after Ben Watson’s unforgettable goal had won them the Cup. But Whelan had chosen his managers wisely. Jewell’s teams were built on solid defence, but always had flair players in attack. Whelan opted for continuity when Jewell left, giving the post to his assistant, Chris Hutchings. Sadly it did not work out and Hutchings was gone after barely three months in charge. Bruce came back to the club, Whelan backed him in the transfer market and he righted a foundering ship. His teams were based on a solid defence protected by a rugged midfield, but with a good smattering of flair players to provide balance. Martinez was brought in to keep Latics in the Premier League on a much reduced budget. He went on to produce the best results in the club’s history, away wins at Arsenal and Liverpool, the club’s one and only victory at home to Manchester United, that epic victory on cup final day. Martinez was a great ambassador for the club, through his insistence that his teams compete against star-studded opposition by sticking to the principles of skilful possession football. The FA Cup victory against Manchester City was no fluke: Wigan had played the better football on the day, with not a hint of skulduggery. Was Whelan just lucky with his appointments of Jewell, Bruce and Martinez or did he have a vision of what they would do? If he was lucky with those three, he certainly was not with his appointment of Owen Coyle. Neither was he in appointing Malky Mackay and his grandson made a similarly woeful appointment in Warren Joyce. None of those three names – Coyle, Mackay, Joyce – became synonymous with good football at Wigan Athletic. Indeed it was quite the reverse. But Whelan did make a good appointment in Uwe Rosler, who picked up the mess left by Coyle and got Latics to the FA Cup Semi Final and the Championship playoffs. Sadly the going got rough in Rosler’s second season, but rather than showing faith in a manager who had achieved so much, Whelan showed him the door, bringing in the hapless Mackay. Sharpe did a similar thing with Gary Caldwell, who had only months before won the League 1 title. His replacement was the inept Joyce. Sharpe has done the right thing for the moment. The odds are that Latics will not be able to avoid relegation, but without the shackles imposed by Joyce the players can make things happen. Few of us really and truly believed that Joyce was the right man for Wigan. To BELIEVE that Joyce could save the club from relegation was asking too much, given his obsession with the defensive side of the game and the hoofball we were witnessing. Graham Barrow has been appointed caretaker manager again. Barrow is a survivor who has seen six managers come and go since rejoining the club in 2009. Barrow is not the kind of coach who will throw caution to the wind, but we can expect him to field line ups that are more balanced that we saw under Joyce. Due attention will be paid to the offence, as well as the defence. With Barrow in charge we at least have a hope that we can BELIEVE our team can avoid the drop.